Everything that we want to keep looking good and performing right has to be maintained, A well-maintained flower bed starts right at the beginning of preparing it. Cleaning out your flower bed is a very important step. When you go to lay your plants down into their home, you want it to be healthy and kept maintained so they will be strong and happy in their environment. Flower bed maintenance is one way to assist you in succeeding in having a beautiful display of flowers. 1) Plan out your flower bed Decide how you are going to arrange your flowers beforehand. Ask yourself which flowers will look the best in the front and which ones will look best in the back as well. If you are going to be planting bulbs, this is the time to determine their location. 2) Use proper tools Instead of using big bulky tools, unless you have a large bed, use smaller hand tools because they will prevent you from pulling up what you did not intend to such as early flowers and buried bulbs. 3) Prune bushes if you have any Get rid of dead bushes and remove their dead leaves from underneath them. If you are going to move them around, now is the time to relocate them if you need to change your bed arrangement. 4) Remove all debris There will probably be all kinds of things like loose leaves, dead plants and unwanted compose. Clean all of this out so you can get a good look at the small things and the treacherous new growing weeds that will put a damper on any flower bed. When pulling your weeds, try to pull deep to remove all of the roots of the weed. This way you stand a better chance of it not returning. Some people will try to use boiling water or a vinegar spray but nothing rids them better than pulling them down deep. While pulling your weeds place them in a pile far away from your bed. This will prevent their seeds from spawning new growth spots in your flower bed. We want to give the flowers a chance to stand bold and attractive. 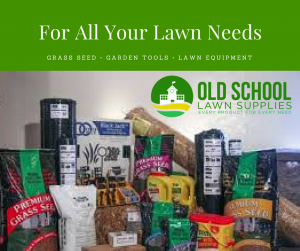 5) Add grass clippings Adding grass clippings to your flower bed is known to help control the growth of new weeds and also provides nitrogen to the soil. But be careful when you put the grass clippings down in case there were some weeds that got clipped up along with the grass. You don’t want to add any weed seeds to the bed after you just cleared it out. 6) Add nature’s ingredients Earthworms and nightcrawlers will be a great help to your soil. They will help to keep the bed’s soil loosened and their droppings will provide nutrients to the soil. When these steps are done, it would be a plus to sprinkle water on the bed to moisten and soften the soil. After a few hours have passed, and you see the water has gone throughout the soil, you can begin planting your flowers in the arrangement you planned. You have just provided a healthy and cozy bed for your flowers. I hope this will help you in achieving the flower bed you deserve. And remember to keep it up by keeping it clear of debris and weeds. Happy Growing & Beautiful Beds this year! I learned something new today and I love working in the yard and garden! I did not know that using grass clippings would control growth of new weeds! That is something that is always readily available. Glad I found this post! Thank you! Thank you. I am very glad the information was able to help out. I hope everything comes out beautiful for you this season. Thank you for visiting and I will have post from time to time on different things pertaining to having a beautiful display for your property. Interesting article, Ronnie, I’ll be definitely getting out the gloves come this spring! Very good. I hope you have a great flower bed when you are done.